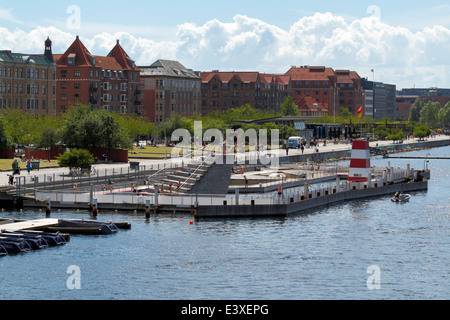 The Copenhagen Harbour Bath at Islands Brygge in the inner harbour of Copenhagen on a warm and sunny summer day seen from the main harbour canal. 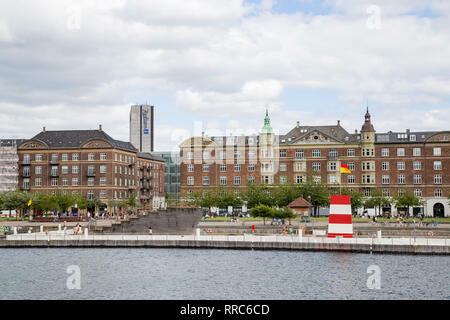 The official monitored harbour bath at Islands Brygge with 5 pools and a capacity for 600 people - part of recreational bathing facilities along the waterfront of Copenhagen with pools, towers, and a lifeguard. 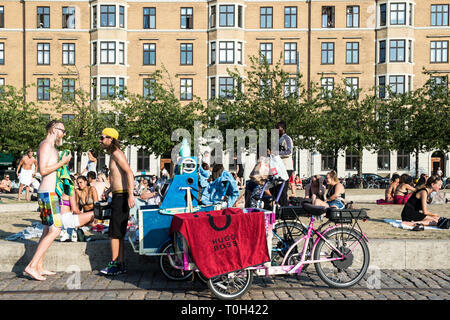 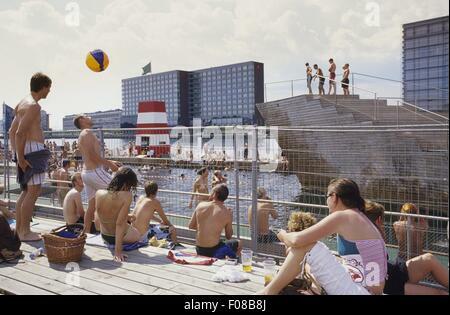 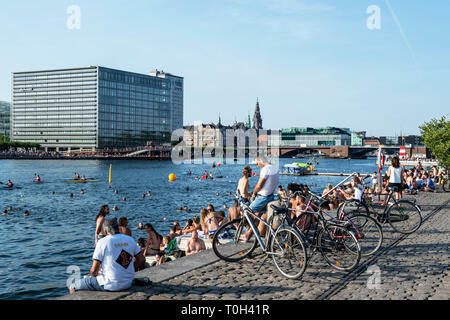 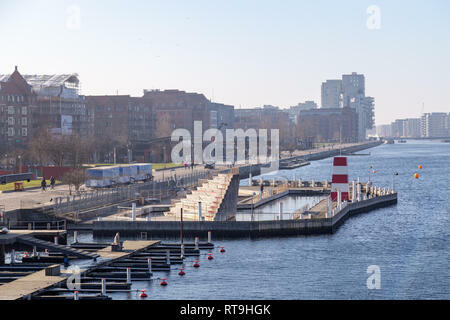 There are currently three real harbour baths (but more bath zones) in Copenhagen, the first and best-known is the Islands Brygge Harbour Bath which opened in 2002, making Copenhageners among the few people in Europe able to bathe in their harbour without jeopardising their health. 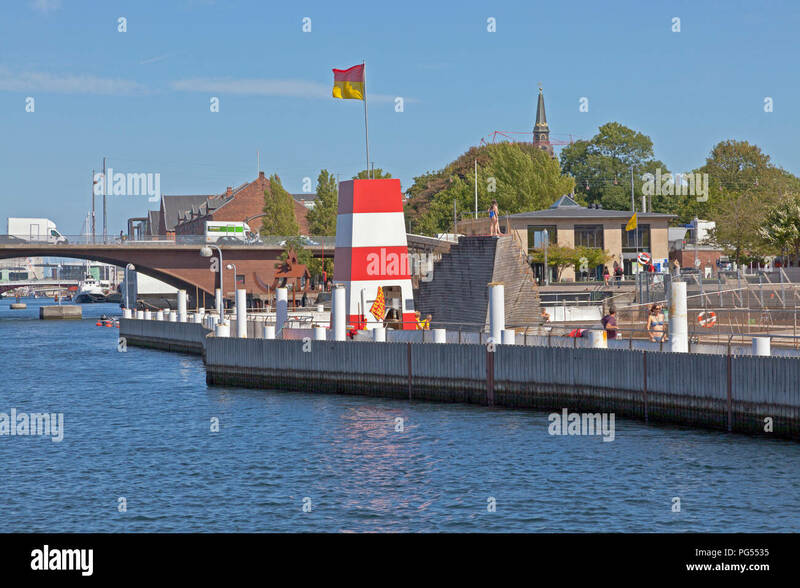 An established online warning system calculates and monitors the water quality in the harbour. 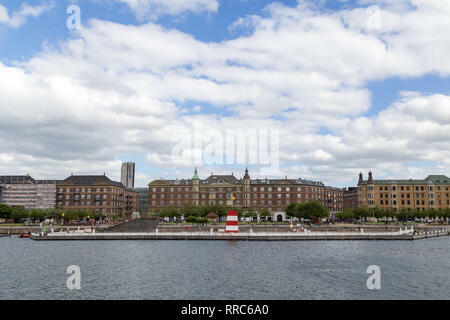 The harbour baths are generally open all days of the week in the official bathing season from 1st June to 30th September. 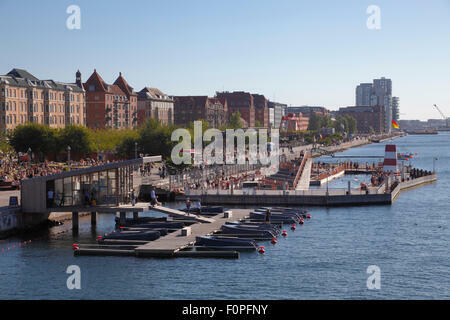 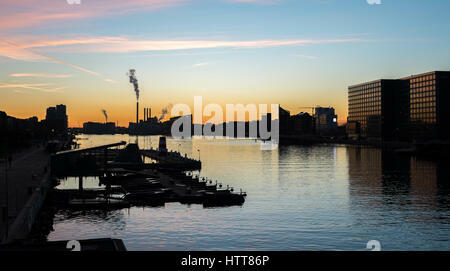 The harbour bath at Islands brygge is designed by Bjarke Ingels BIG. 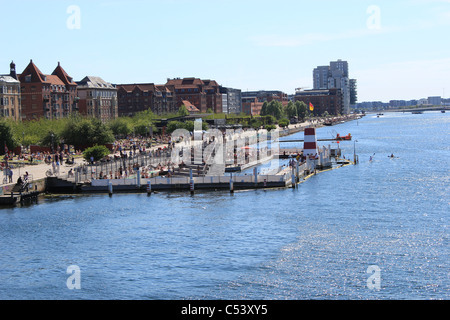 The Copenhagen Harbour Bath at Islands Brygge in the inner harbour of Copenhagen on a summer day seen from the Langebro bridge. 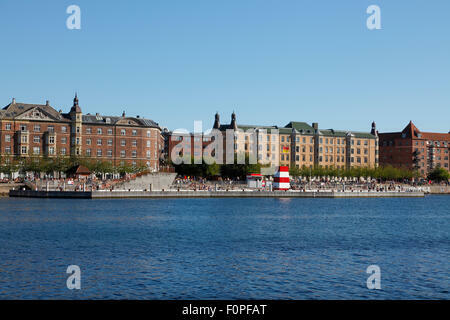 GOBOAT electric boat rental and the monitored Islands Brygge Harbour Bath in the inner harbour of Copenhagen on a sunny summer day.